Melding with Equus Foundational Hands-on Clinic Healing Forehand and Cranial Issue: Melding with Equus Foundational 2-day Hands-on Clinic is the core course of the Integrated Equine Therapies Certification Program. Students learn foundational techniques on melding with horses; it’s what all horse people are seeking. “Melding with Equus®” is the main reason students can quickly develop competency and effectiveness. Integrated Equine Therapies addresses feel of the horses from the inside out; it is the inside that drives the body and makes the decisions to act. Nutritional Assessment & Applied Kinesiology: Wisdom of the Equine Body hands-on 2-day clinic Students will learn how to access the “Wisdom of the Body®” using Applied Kinesiology and Osteopathy techniques; Equine Nutritional Assessment to determine what horses should eat; to accurately determine the nutritional needs of the horse and understand which foods are healthy and which foods are allergenic or toxic to horses. 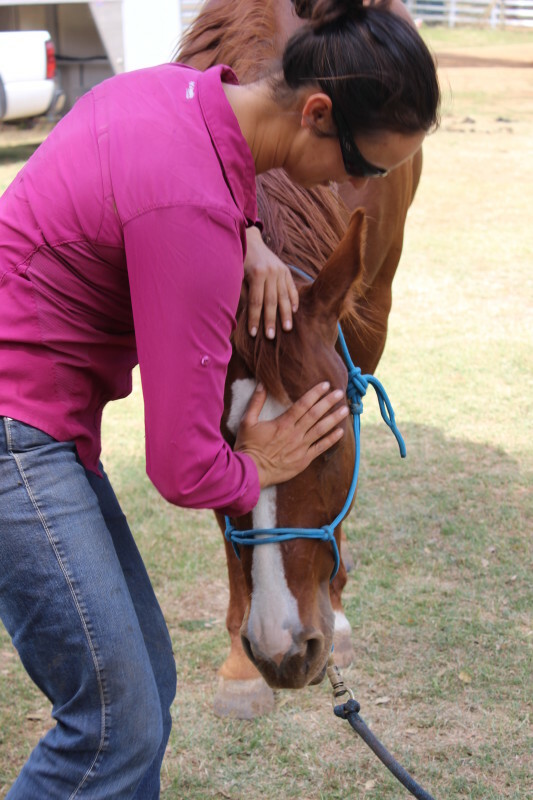 Healing Loin and Pelvic issues: Deeper Connection with Equus is the third clinic and final course in the Integrated Equine Therapies Certification Program. Each foundational clinic builds upon the previous clinic. Therefore, it is important to take the clinics in order. This is a hands-on, 3-day Level 1 – IET Method Foundation Course. Students attending this clinic will have an opportunity to use the techniques taught in the first two foundation clinics to fine-tune their skills. They will learn advanced “Merging with Equus” techniques. This clinic will focus on acupressure and applied kinesiology to assess, treat, and verify results. This clinic is suitable for veterinarians and all equine professionals. The techniques participants learn will enhance their skill set and effectiveness.